You are welcome to write your comments, opinions, suggestions, etc. Only registered users may add posts - please login on the left side. Submitted by SP9FIH on Tue, 04/08/2014 - 11:43. Submitted by n4ufo on Sat, 03/29/2014 - 17:40. Thanks for your efforts to get on 160m! VP2V/SP6CIK is a new one for me on Top Band. I found I am 'in the log', so no worries, but I was wondering if you plan to enable the 'OQRS' in Clublog at some point. If so, I will wait for that instead of QSL direct... much easier. I hope the rest of your time goes smoothly and you have a trip to remember! Submitted by M0KCM on Tue, 03/25/2014 - 15:36. We believe that it is more important to give a new country to "small pistol" than to give an 8th band QSO to a "big gun" station. I have been licensed for 30 years and BVI has always been a blank in my DXCC challenge. Now thankfully I've managed to get in the log. 100W into a 2 element mini beam, so not a big gun station. Submitted by Franz on Tue, 03/25/2014 - 13:28.
when are going to be active in ssb on 10 and 20 ? Submitted by dj3cq on Tue, 03/25/2014 - 09:54.
always a pleasure to listen to your signals on the bands. Good signal strength, fb ops and not much confusion due to great traffic handling. I was even able to get you on 80 this morning using a 2x16m-doublet@500W. 73 and mni tnx being DX! Submitted by NK8X on Tue, 03/25/2014 - 04:57. Anegada is one of my favorite places on the planet. 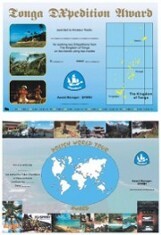 You might check out http://bvipirate.com for Anegada info. Submitted by SP9FIH on Mon, 03/24/2014 - 17:00. We finished 160m antena yesterday and Leszek already made 160 QSOs on top band. Submitted by DL4FAY on Sun, 03/23/2014 - 13:07.
when do you start operation on 160m?? J8/UA4CC is operation also on 160m. and I only habe a 3,4m AMA-7 loop for RX. So I am not a BigGun Station. Submitted by SP9FIH on Sat, 03/01/2014 - 19:59. Submitted by ok1rp on Sun, 01/05/2014 - 22:58.
thank You very much for Your reply and effort in order to put VP2V also on the air on 60m if possible. It will be rally great to do it if allowed the band and at least single radio will be able to TX there. Depends to allowed channels in VP2V the best way is to operate on 5405/CW and 5403.5/USB or 5373/CW and 5371.5/USB if first channel will be occupied or QRMed from military stuffs. I will be really glad to get short email if You will have permit to operate on 60m also as i am ready to help You if needed/wanted. Submitted by SP9FIH on Sat, 01/04/2014 - 13:43. Thank you for good question Petr. We will check possibilities (license & equipment) and inform HAM community. Submitted by ok1rp on Sat, 01/04/2014 - 04:29. Submitted by SP5ADX on Fri, 01/03/2014 - 08:28. Great information, another Polish DX-pedition. I wish you good luck and a lot of contacts.